The Klungkung Palace in Semarapura was the residence of the rulers of Klungkung. The Klungkung Palace in Semarapura was the residence of the rulers of Klungkung. 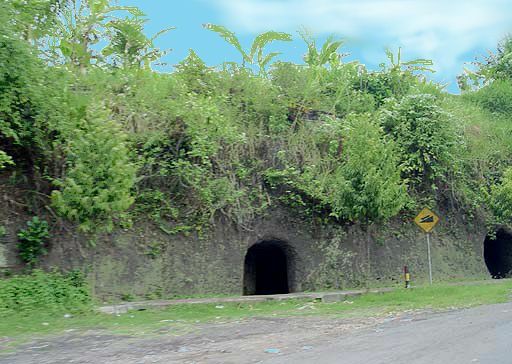 Built at the end of the 17th century by Gelgel Prince Dewa Agung Jambe I, it was largely destroyed in 1908 by Dutch invaders. 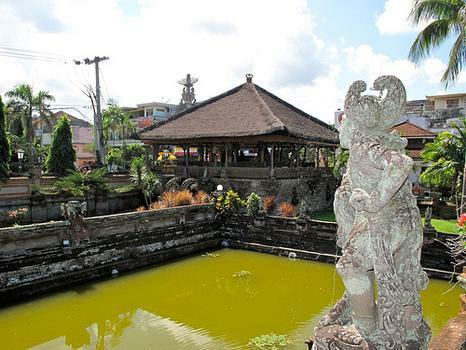 The structures standing today are the the Kertha Gosa Taman Gili, the Pemedal Agung main gate that bears the date Saka 1622 (AD 1700) and the Bale Kambing floating pavilion which was added in the 1940s.The Kerta Gosa Pavilion was the high court of the king of Bali, and has Wayang ceiling murals depicting different punishments in the afterlife, as well as other miscellaneous scenes from Balinese mythology. Nearby is the Semarajaya Museum exhibiting archeological and historical artifacts.